Obituary for Miata Massaquoi (Massaquoi) Payne | Hairston Funeral Home, Inc. 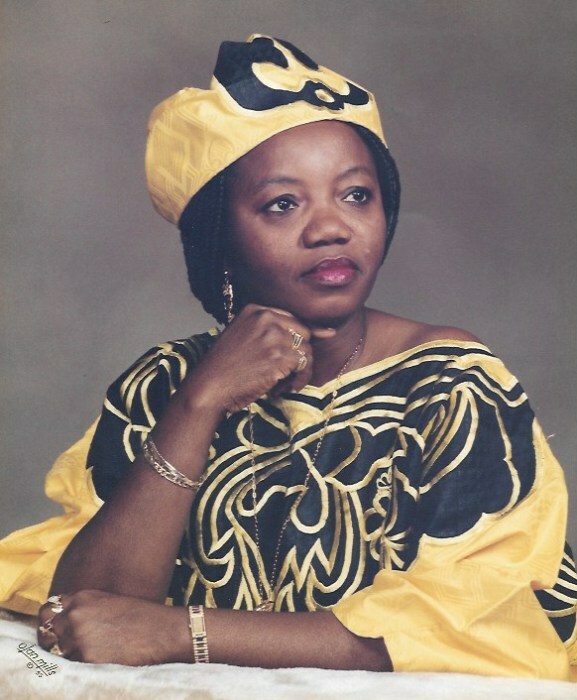 The Payne, Massaquoi, Toweh, Tappeh, Freeman and Ajavon families announce with profound regret and sadness the home going of their beloved, Mrs. Miata Massaquoi Payne. She was the great grand daughter of the late Chief Dehpu Toweh and Chief Tappeh of the Tappita District, Nimba county. This sad event occurs on the 25th of March 2019 after a brief illness. Mrs. Miata M. Payne is survived by her husband Mr. Arthur K. Payne. Her children: Lloyd Wiles, Malik Freeman, Tenneh Freeman, Elick “EJ” Freeman and Mammie K. Freeman. Her grand-children: Lloydson Momolu Wiles, Edna Lorraine Wiles, Llodline Wiles, Malia Freeman, Makayla Freeman, Mariah Freeman, Marquis White Freeman, Davion Melchizedek Freeman, Amish Gabrielle Vinson, Elijah Zekiel Freeman and Zariyah Israela Vinson and Cheyenne Freeman. Siblings: Teresa Ajavon Gharbin, T-Momolu Massaquoi, and Jackie Massaquoi. She’s predeceased by parents: Momolu Massaquoi, Father; Ms. Voyngee Flomo, Mother; Musu Massaquoi, sister; and Alhaji Massaquoi, brother. Funeral arrangements are as follows: Wake Keeping: Friday, April 12, 2019; 7:00 p.m. - 9:00 p.m., Bread of Life Worship Center, 1229 Bringle Ferry Road, Salisbury, NC 28144. Funeral Service: Bread of Life Worship Center, 1229 Bringle Ferry Road, Salisbury, NC 28144, Saturday, April 13, 2019 from 10:00 a.m. to 12:00 p.m.
Burial will follow in Rowan Memorial Park, 4125 Franklin Commerce Center Road, Salisbury, NC 28144. Hairston Funeral Home, Inc., is serving the Payne family with sincere sympathy and compassion. Online condolences may be sent to, hairstonfh.com.